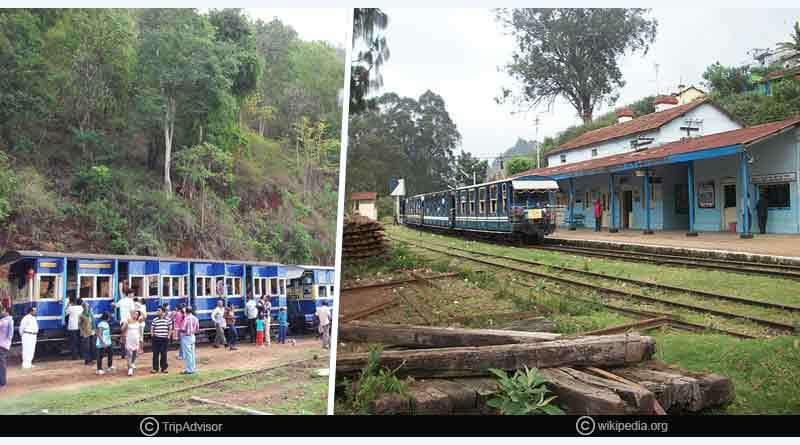 Let’s explore these five best places to visit in Ooty. Ooty is also known as Ootacamund and Udhagamandalam is a splendid hill station in Tamil Nadu, India. 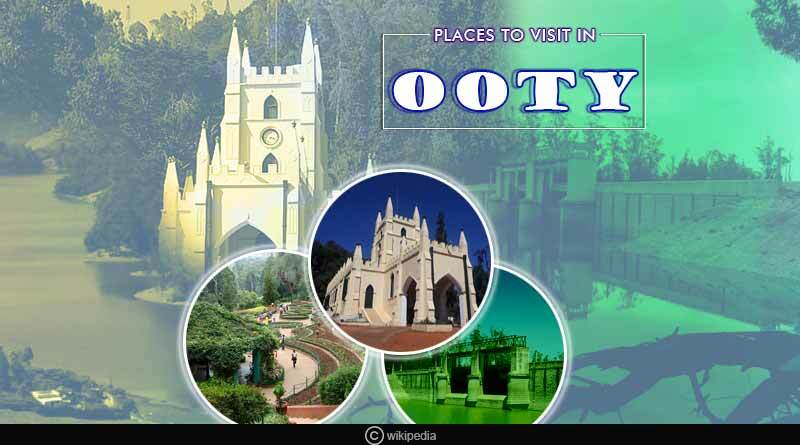 With lofty forests and majestic mountains, being in Ooty will bring on a calming influence on you. The tea and chocolate gardens are a treat to the eyes. The Toy Train cover a distance of 46 km in a span of 5 hours, takes one through a truly spectacular journey filled with picturesque views. In 1854, the plan was made to build a mountain railway from Mettupalayam to the Nilgiri Hills. It took approx 45 years to complete the construction. The line was completed and opened in June 1899. UNESCO added the Nilgiri Mountain Railway as an extension to the World Heritage Site of Darjeeling Railway in the year 2005. The train journey gives you a glimpse of the Nilgiri Mountains and the mesmerizing views of the valley and the meadows. Some of the waterfalls are a treat during the train journey. 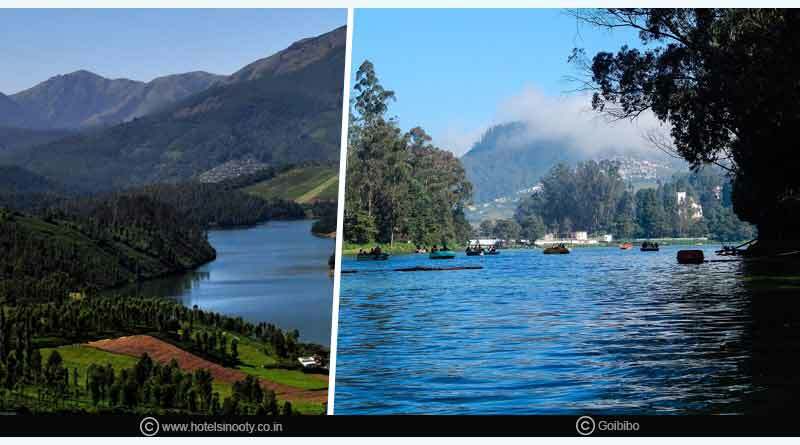 Ooty Lake is an artificial lake which was constructed in the year 1824 by John Sullivan. 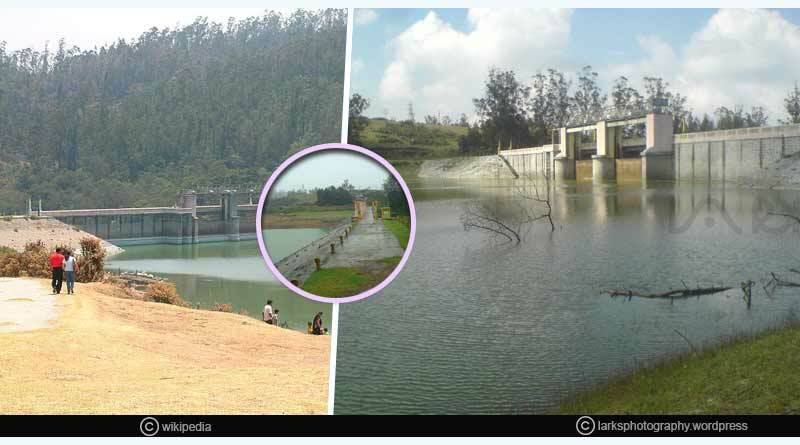 The water flowing down from mountain streams in the Ooty valley was dammed to form the lake. It is located in Ooty in the Nilgiris district, Tamil Nadu and was originally intended to be used for fishing. The Lake covers an area of 65 acres. The Boathouse situated by the lake offers boating facilities to tourists. It is a picnic spot and a film shooting spot which is located at a distance of 10 km from the Ooty bus stand. It is also known as the Sandynallah Reservoir. The chirping of birds from the forest makes a perfect mystic sound. The St. Stephen’s Church in Ooty is a marvellous and breathtaking architectural marvel that is located on the road to Mysore in Ooty. 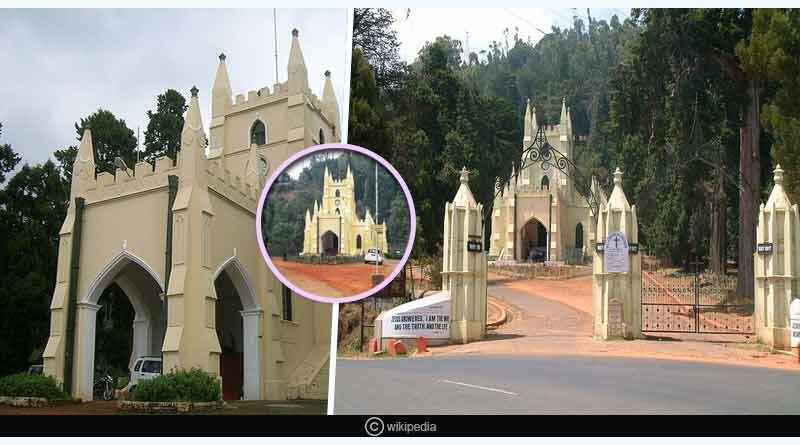 St. Stephen’s Church is one of the earliest churches that you will find in the Nilgiris district. The structure was built in the 19th century by the British government. The foundation of the church was laid down on 23rd April 1829, by Stephen Rumbold Lushington, the Governor of Madras. It is believed that the timber that was used in the construction of the Church was brought from Tipu Sultan’s palace after the British had successfully defeated him. Lying on the lower slopes of the Doddabetta peak, the Government Botanical Garden is spread in Udhagamandalam, near Coimbatore, Tamil Nadu. Spread over an area of 22 hectares, the garden is divided into several sections that are trimmed beautifully which present a delightful view. 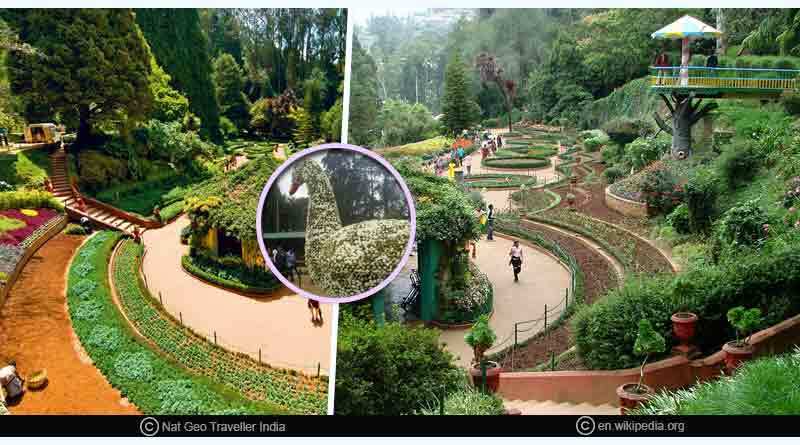 The Ooty Botanical Garden was laid down in 1848 and was designed like a terraced terrain. The Botanical garden is home to many rare species of trees, chief among them being the cork tree, the only one of its kind in India. For more articles like five best places to visit in Ooty, do Subscribe to our newsletter and follow us on Facebook, Twitter, and Google+.